The original Pulsar APX vaporizer was a huge hit, and is widely considered to be one of the best performing, most versatile devices of its kind, all at an affordable price. Pulsar hit another home run with this device that was designed exclusively with the daily wax vape user who also happens to be on a budget. The wax version of the APX retains all of the visually appealing, compact qualities and high performance aspects of the original APX, while adding a heating element that is made with three long-lasting rods constructed from quartz crystal. The Pulsar APX Wax Vaporizer boasts an extremely strong 1100mAh battery that is made from lithium ion. 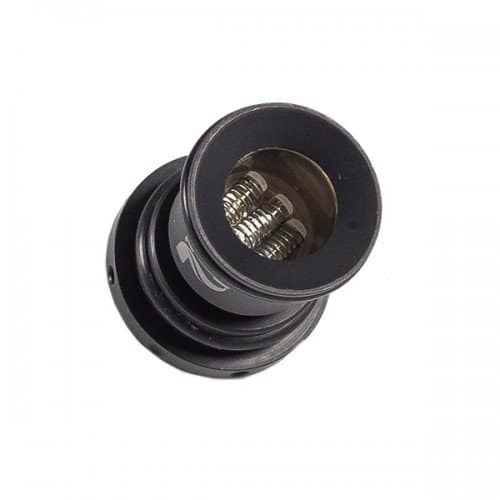 This exceptional unit has a heating element that is powered by not one, not two – but three powerful coils and has a chamber that is constructed with all high quality quartz. This adds up to highly flavorful wax vape hits and great vapor production. Just as the original APX portable vaporizer smashed the notion that you need to pay an arm and a leg for a high quality dry herb portable vaporizer, the APX Wax Vape does the same thing for concentrates. If you’re someone who loves to vape concentrates or take dabs every day, you might find yourself reaching for the Pulsar APX Wax vaporizer often – even if you’re an experienced user that already owns a more expensive type of model. The APX Wax Vaporizer offers all of the elements that made the first APX so special, with an internal design, and powerful performance that you can tell has the vape lover in mind.